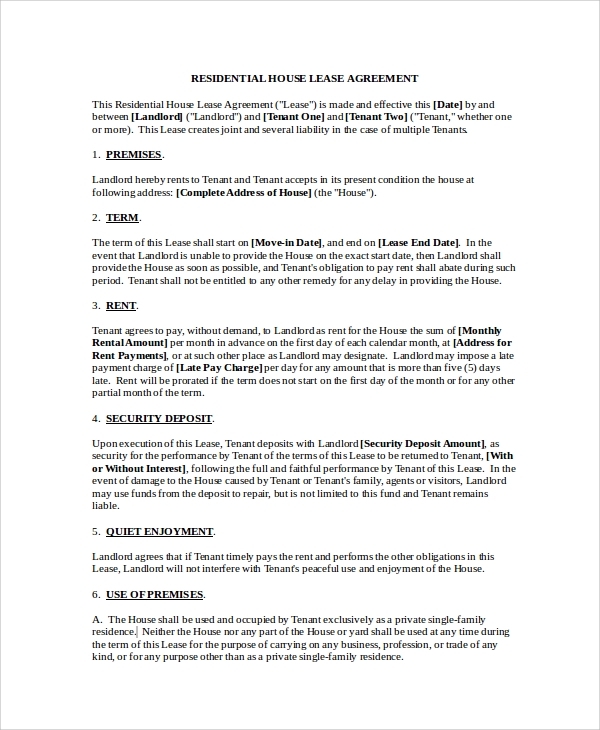 A contract of lease is a contract between the tenant and the landlord. A lease application is an application letter which is useful for the tenant to get better options for renting purposes. This application letter must be well drafted and should contain all the details and specifications clearly. There are a lot of Sample Letter applications which can be referred to while writing the application letter. Different subjects of lease need a different type of applications, and these drafts are easily available on the internet for reference. 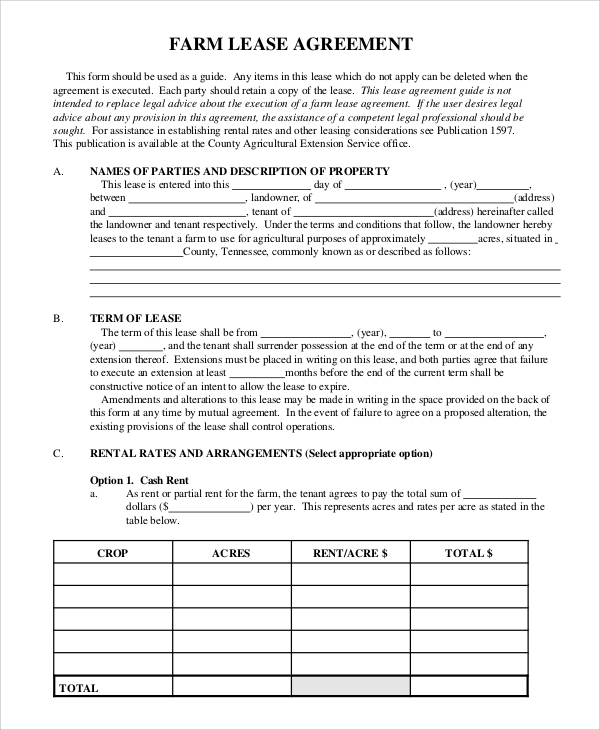 This type of lease application is considered in the case of renting any property. The purpose of renting the property and all other personal and professional details must be mentioned for the purpose of clarity. Vendor lease application is used when the purpose of the lease is to rent equipment. 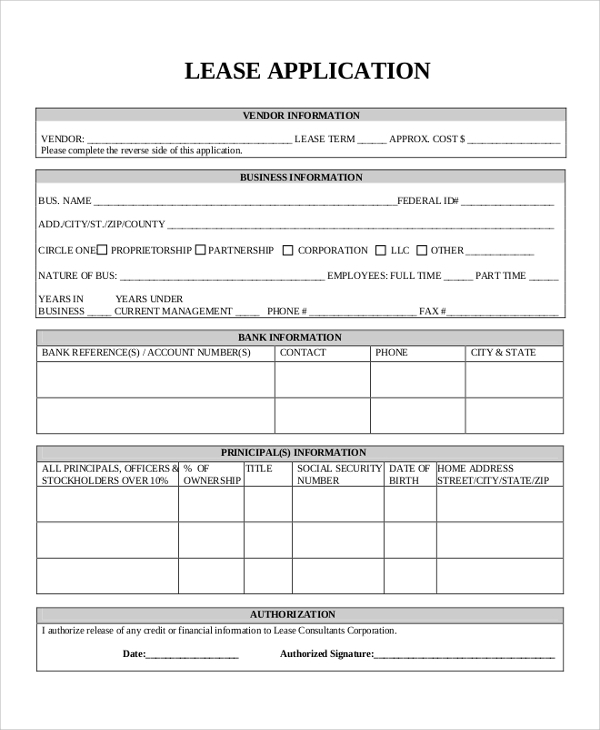 This type of lease application contains the details of the vendor and also the bank details. 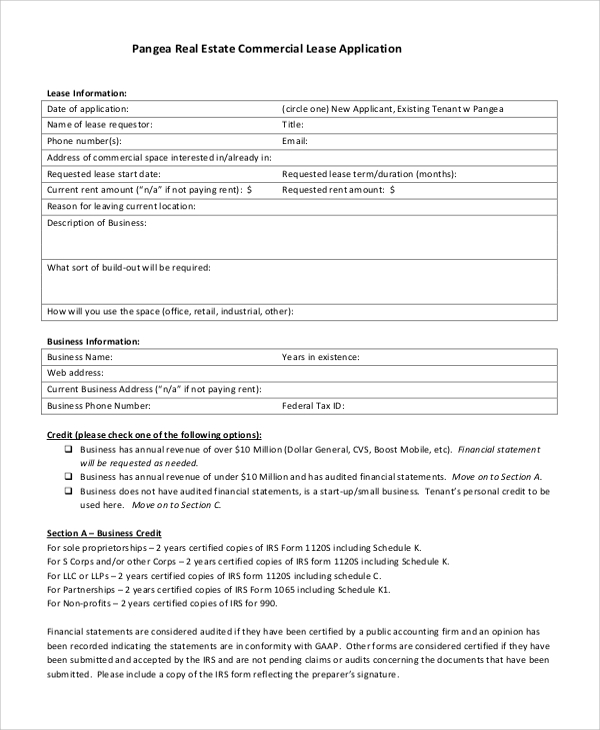 You may also see the Sample Credit Applications. A real estate commercial lease is for the purpose of renting a real estate for the purpose of carrying out business. You need to mention the purpose of use of the estate which is to be hired. 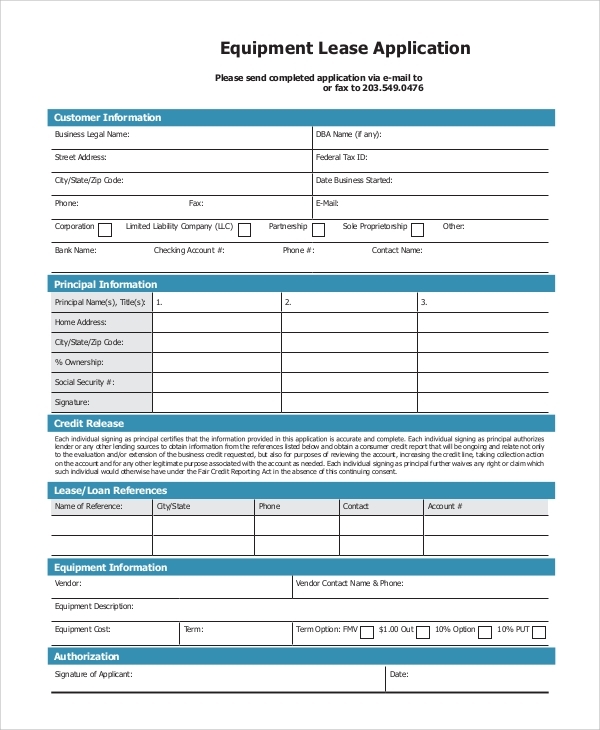 The sample letter of applications can be referred for drafting this lease application. What are the Benefits of Lease Applications? Lease applications are critical as they provide essential details regarding the requirements and specifications of the tenants which enable them to get the subject of the lease as per their requirement and needs. Anything in written form is simple to understand and also can be decoded easily. A lease application helps the landlords to understand the requirements properly and then can easily take the decision whether to accept or reject the application. 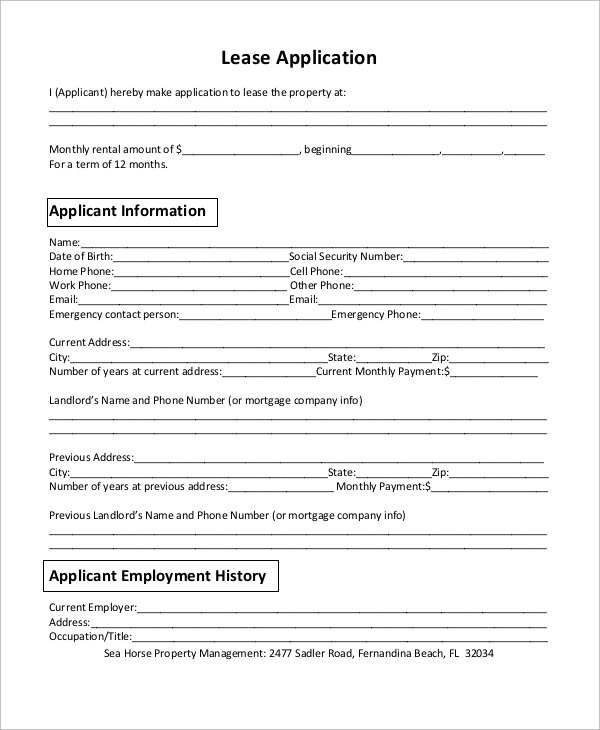 The application letters which are drafted after referring to the Sample Letter of Applications are professional and precise and thus provide more clarity, which in turn helps the tenants to get more options for renting. 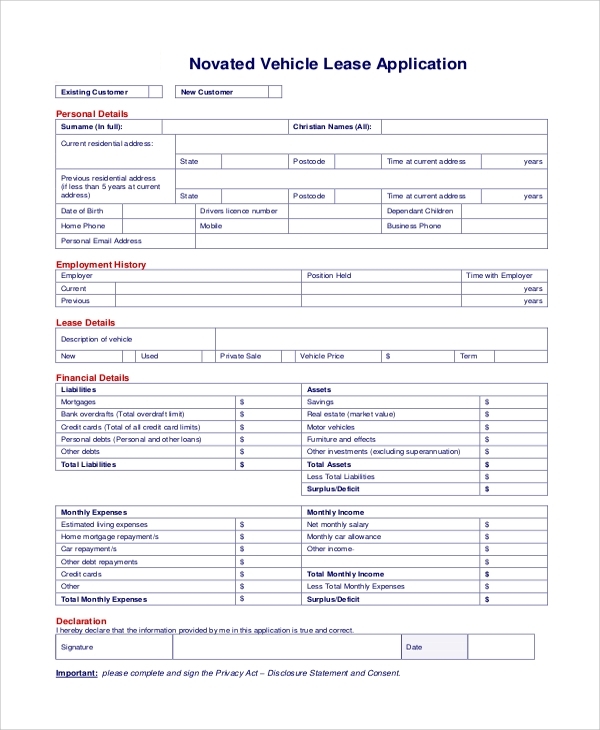 Vehicle lease application is applicable when a vehicle is supposed to be hired. The details of the vehicle, residential address, and monthly expenses should all be mentioned in the lease application. 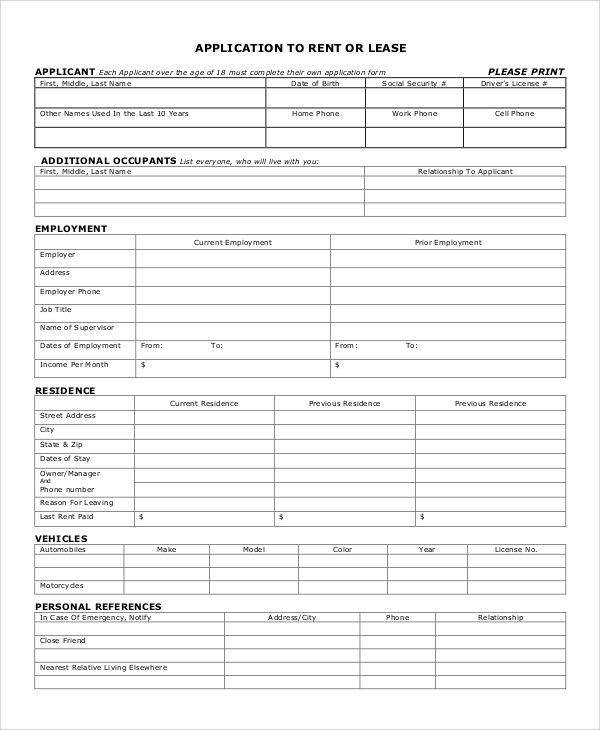 Sample letter of applications is available for reference. 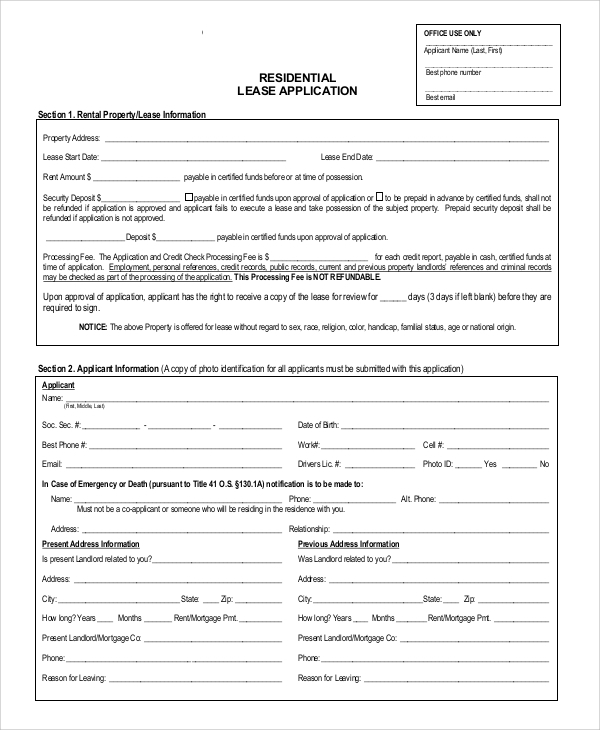 The residential lease application is to be submitted when a tenant is looking for a house. The application must contain details of the tenant as well as other members who would be residing in the house. Who is the Target Audience for these Lease Applications? A lease application is of great importance for the individuals who are looking forward to hiring a vehicle, house or any other equipment like tents, tools, and machinery for personal and domestic use. Along with the individuals, a lease application is also used by small scale industries, factories, manufacturing units for leasing land, building and machinery. 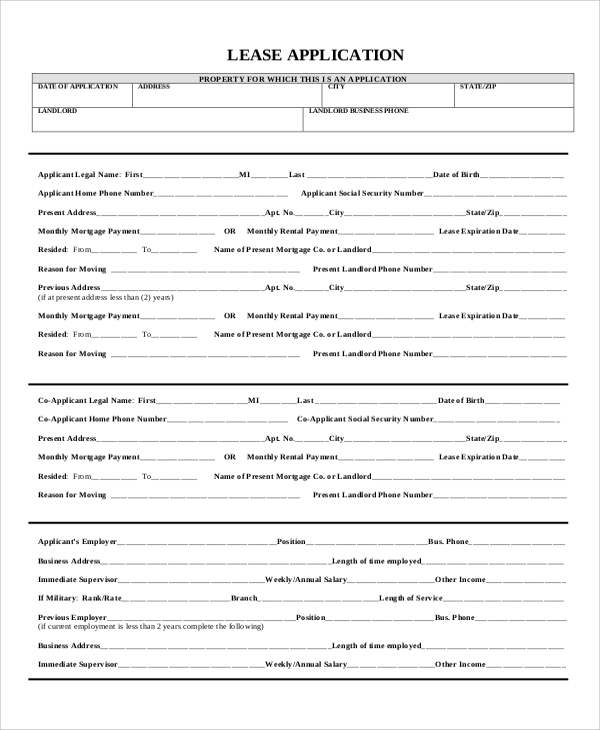 You may also see the Sample Rental Applications. This type of application can also prove beneficial for the corporate sector wherein the company can look forward to hiring ready corporate offices or business places to run their company. Educational institutions like schools and colleges as well as medical institutions like hospitals, laboratories can make the best use of these applications. A lease application is a formal quotation of a tenant to the various renters who are available in the market. 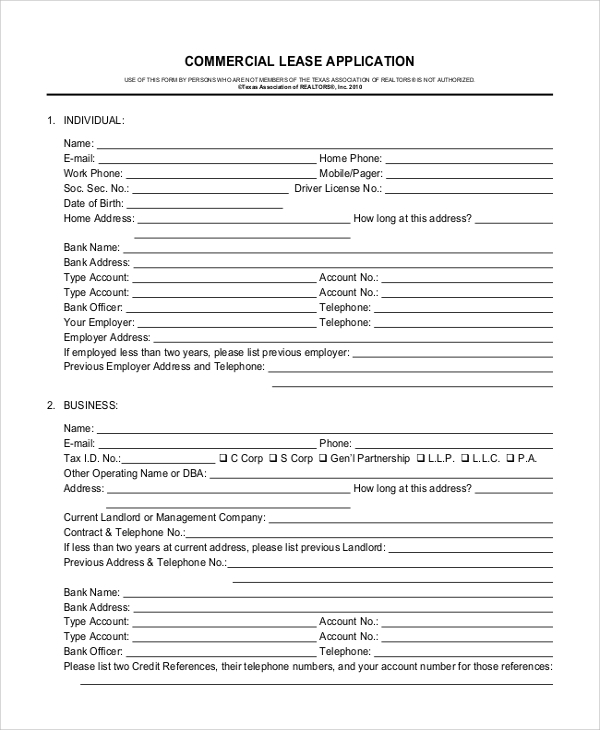 Lease applications also require a cover letter where basic details of tenants are mentioned; these letters can be best drafted by seeing the Sample Application Cover Letters available on the internet.